The Bureau of Emergency Medical Oversight has just released the 2018 EMS Annual Survey results. Kudos to the state team for such a comprehensive measurement instrument and report-out! Follow FAA on Facebook to see how our member organizations are working to respond to the aftermath of Hurricane Michael. 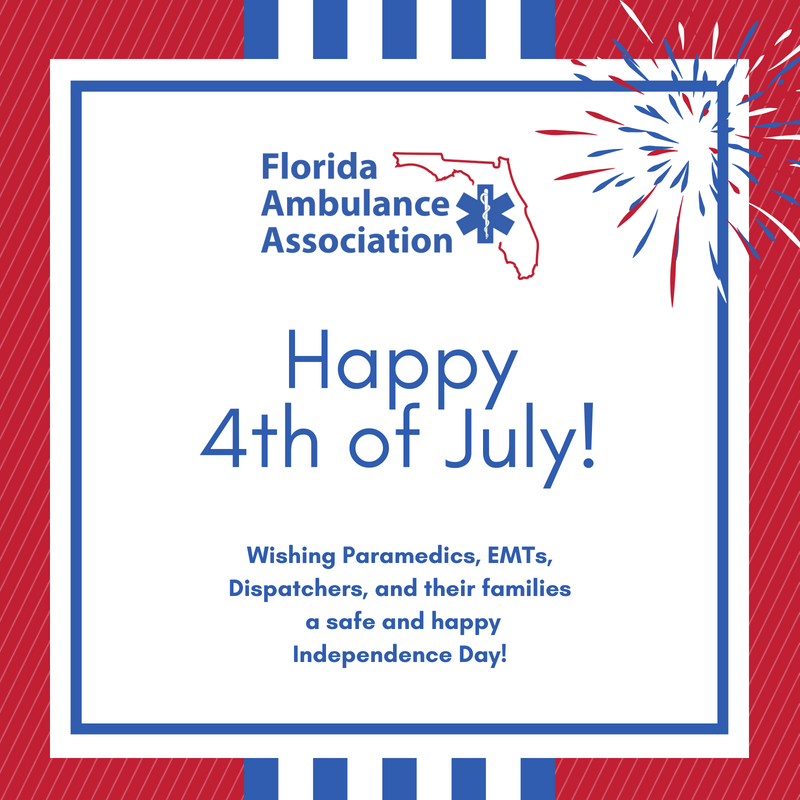 The Florida Ambulance Association has a new mailing address. Would you please update your records? The Florida Office of the Consumer Advocate issued it's Emergency Medical Transportation Working Group Report here.